Welcome to the Brassie Joggers Sewalong Series! I’m delighted to be hosting this sewalong over at Knitpop- you can join the event here. If you aren’t a member of Knitpop yet (you should be! They have awesome fabrics and lightening fast shipping!) join the group first, and then the event. I’ve divided the pattern up into daily tasks for 5 days. Each day we will sew that days task together, post our progress photos under that day’s photo, and ask questions. I’ll post hacks, if relevant. 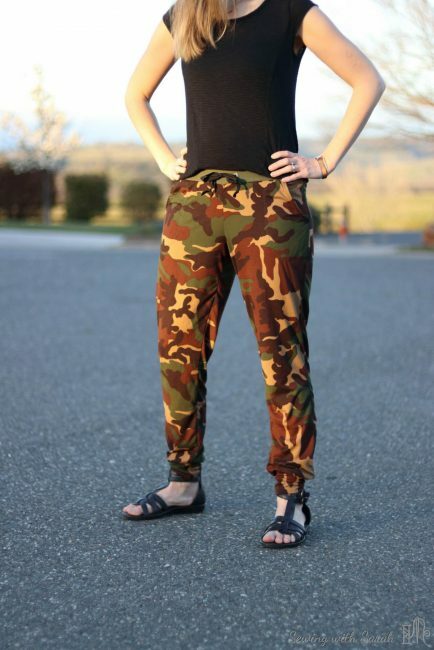 On Thursday, I’ll sew the joggers LIVE on Knitpop’s timeline. 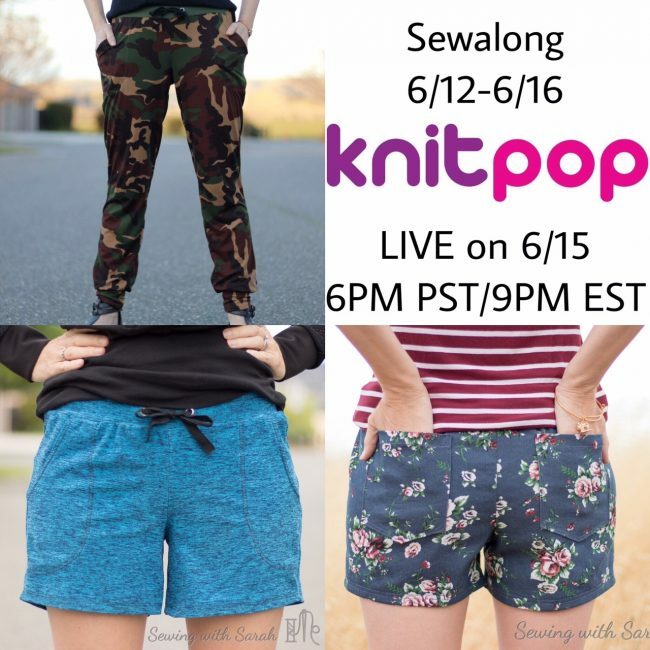 People who participate in the LIVE event will be entered to win a knitpop gift certificate! If you can’t sew with me or watch LIVE thats OK- the video will be posted to access later. I will also be giving away some Greenstyle Patterns as a prize. To enter to win those, post your finished items (you can make more than one!) under the Photo that says “Day 5”. I’ll draw a winner on Monday, 6/19/17. Are you ready to get started? Yay! The Brassie Joggers from Greenstyle Creations are one of my favorite patterns- I’ve made FIVE pairs and counting! One of my favorite things about this pattern is the versatility- they do well in a variety of fabrics and seasons, and can be hacked in so many ways- more on that later! Click on the links to read the blog posts about each for more details. The first (and most critical!) thing you’ll need for this sewalong is your pattern! You can get it here, but don’t forget to join the sewalong event and check the description at the top for an exclusive disocunt code! Yoga/Athletic Knit: Generally a heavier, brushed athletic knit. Very soft and moisture wicking. Supplex would be great here too. Stretch Denim/woven: Follow my tutorial here. 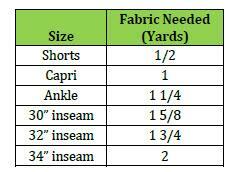 I recommend sizing up if you use a woven fabric. Knitpop has created a special BUNDLE too! Its deliciously soft and perfect! Get it here. A note about the waistband: The fabric for the waistband needs to have excellent stretch and recovery. Cotton lcyra, brushed poly, and athletic knits are all great options. I wouldn’t recommend using a lightweight french terry or jersey- they don’t usually have the stretch and recovery necessary. If you’re using a separate fabric for the waistband, 1/4 yard should do! Interfacing. I like to use fusible woven interfacing from Fashion Sewing Supply, but you can also find good interfacing at Joanns too. Washaway wonder tape: This will make sewing your pockets a million times easier. Ask me how I know! Elastic: The pattern calls for 1″ elastic for the waistband. On Amazon here. Thread/Serger/Sewing Machine. You definitely don’t have to use a serger or coverstitch– I have both but I really like the look of the decorative stitches on my sewing machine too! Just be sure to use a stretch stitch if using a regular machine. A walking foot can also keep your seams from becoming stretched out. Here’s an example of some decorative topstitching I did with my sewing machine. Tracing paper: I like to trace my favorite patterns on Swedish Tracing Paper. Its durable, folds well for storage and you can even iron and sew on it! 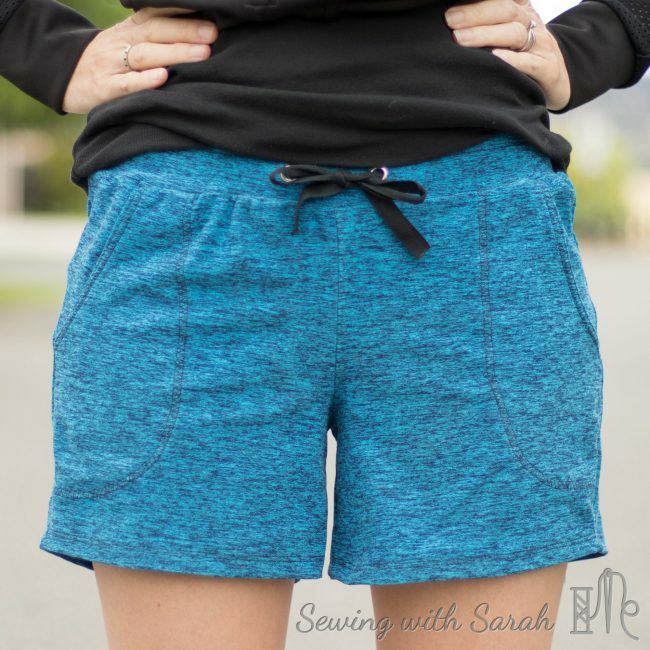 You have the option of sewing the joggers as pants, shorts, or capris. The pattern is drafted for a height of 5’8″, so you will want to lengthen or shorten accordingly. 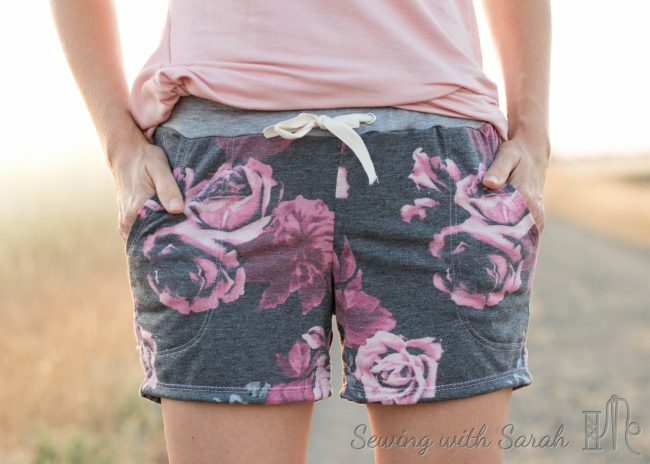 I am 5’2″ on a good day, and I usually shorten it about 3″ for pants, and like my shorts 1.5″ shorter than the shorts cut line on the pattern, which I just remove at the hem. 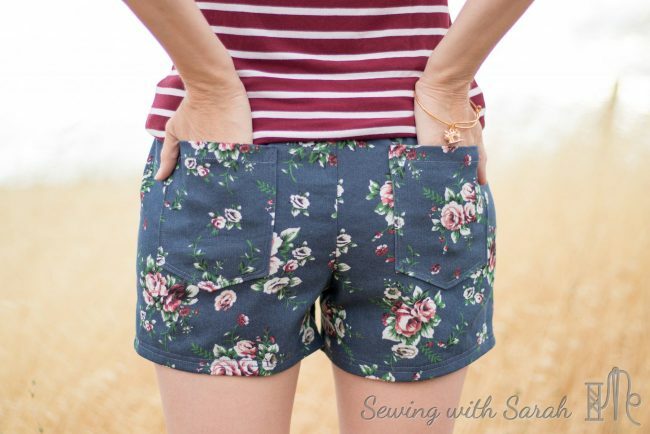 If you’re sewing pants, you have the option of doing leg cuffs or a straight leg. 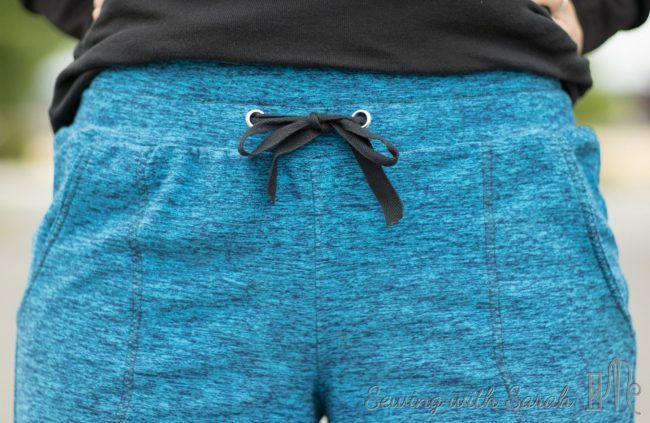 Waistband: You can sew the waistband as is on the pattern, use a yoga waistband (hack here) or a simple tall band. Some people even swap out the contoured waistband on the strides or inspires with success! Mid Rise or Low Rise: I’ve only sewn the mid rise, which is a couple inches below my belly button. But many people also like the “low rise”. 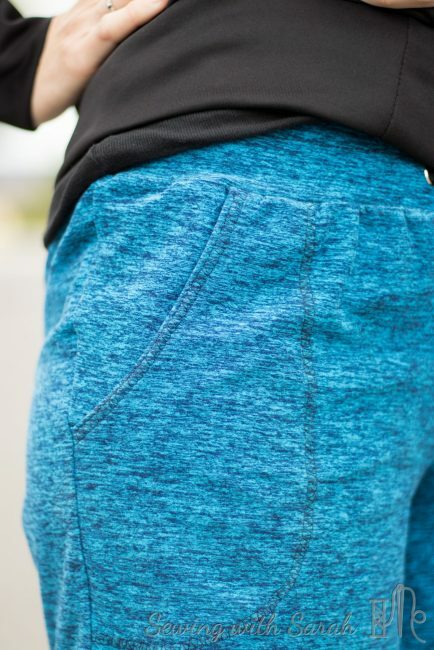 If you’re doing a yoga waistband you should use the mid rise! This pattern is easy to assemble- no trim pages make it quick and easy! I have a few more up my sleeve- so stay tuned! Don’t forget to subscribe to my blog (link on the right) so you don’t miss anything! Note: This post contains affiliate links, which help me toward my goal of quitting my day job (not the being a mom one, the other one!) and sewing all the time! Thanks for your support! Very confused. Trying to do the sew along but can’t seem to find it. Where is the calendar with each day to post to? Trying to do the sew along but can’t seem to find it. Where is the calendar with each day to post to? Then, click this link: https://www.facebook.com/events/1740441455971558/ to join the event! Album is at the top inside the eventon mobile- it’s a bit harder to find on desktop- you have to scroll down to find it. Excited to have you join us!